Mansfield Community Hub customers win big at Agriculture Show! 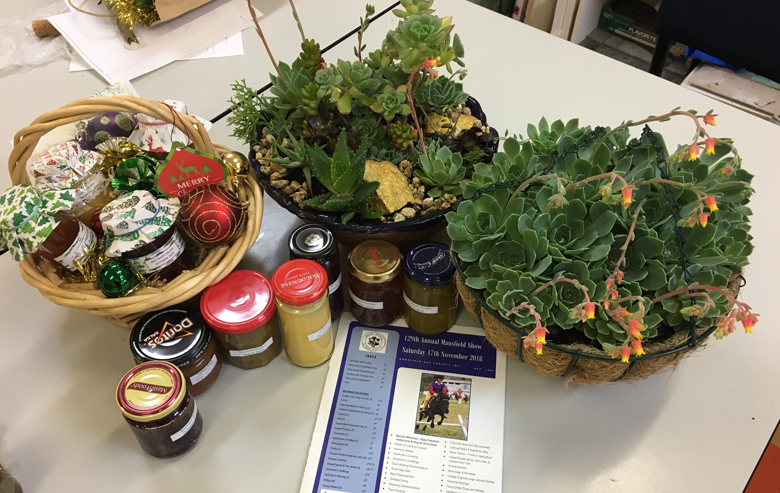 Customers from Yooralla's Mansfield Community Hub produced many fantastic entries for the Mansfield Agricultural Show and saw a great result. Customers from Yooralla’s Mansfield Community Hub recently participated in Mansfield’s Agricultural Show, with much success! Artwork, preserves made with produce from the Hub’s vegetable garden and succulents that were grown at the hub were submitted for judging. The customers had a great result, with many items picking up first or second place. Their pickled green tomatoes, pickled zucchini, a collection of preserves in a gift basket and a container of succulents took out first place, with second place being awarded to a hanging container of plants and beetroot relish. 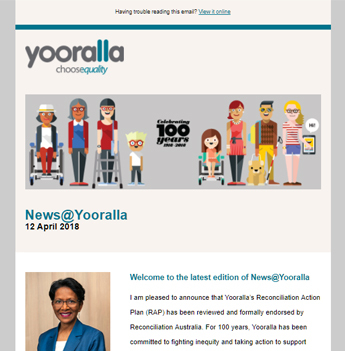 Yooralla customers at the Mansfield Community Hub submitted a range of award-winning items. 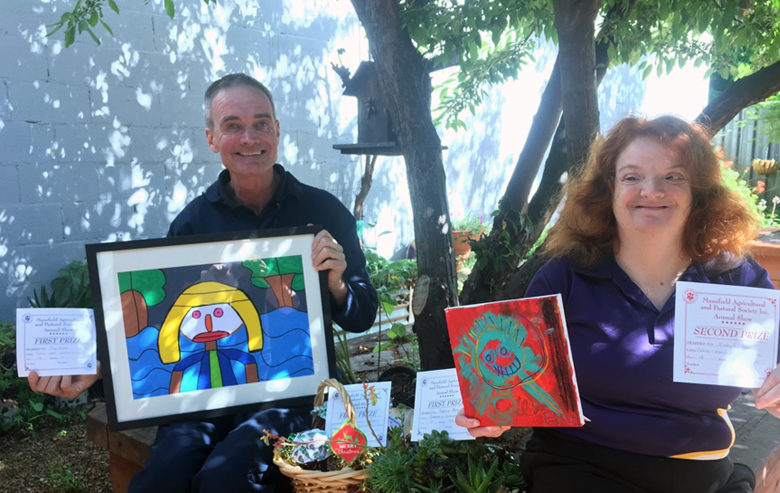 Customers from the Hub also submitted artwork for judging, with Yooralla customers winning the quinella for their fantastic artwork! 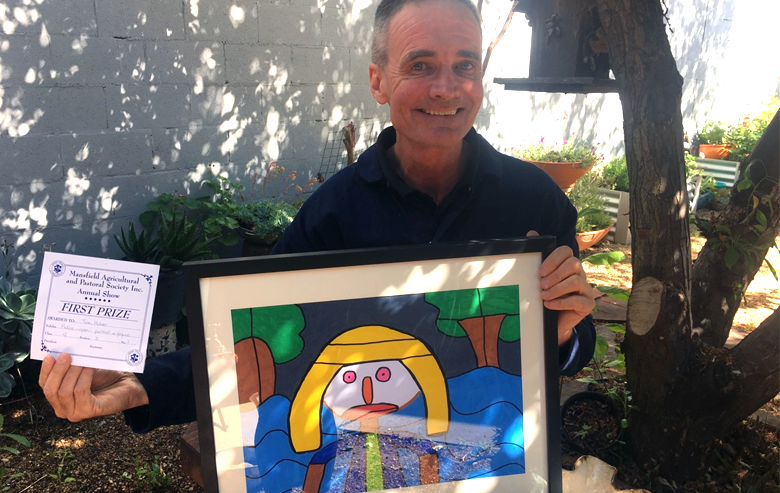 Thomas (pictured below left) was awarded first prize, with Emily (pictured below right) taking home second place in the open portrait or figure competition. Yooralla customers Thomas and Emily won first and second place with their portraits at the Mansfield Agricultural show. Yooralla has Community Hubs across Victoria, where people with disability can receive the support they require, meet new friends and get out in their local community, all while learning new skills. You can read more about them here.